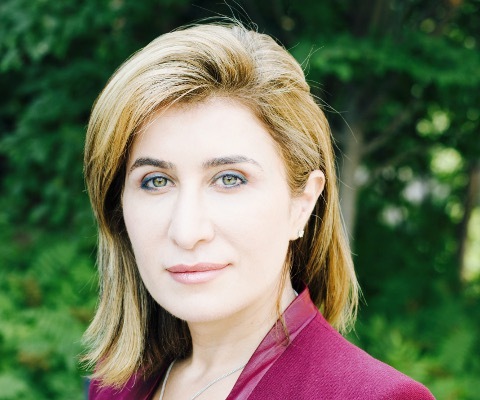 Dr. Bessma Momani’s research and intervention will inform public policy about promoting responsible citizenship among Arab-Canadian youth and engaging them as citizens within a healthy multicultural society. Dr. Momani is an associate professor of political science at the University of Waterloo and the Balsillie School of International Affairs. She is Senior Fellow at the Centre for International Governance and Innovation, a 2015 Fellow of the Pierre Elliott Trudeau Foundation, and a regular media analyst and contributor to national and international media on the Middle East and on global economic governance issues. * Bessma Momani was one of 14 Innovators to Know invited to Ottawa by Universities Canada on Feb. 24, 2016 to meet with high school students, science policy makers and Parliamentarians.